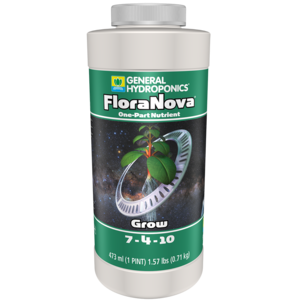 FloraNova Grow supports and nourishes plants from their first moments of growth into later stages. 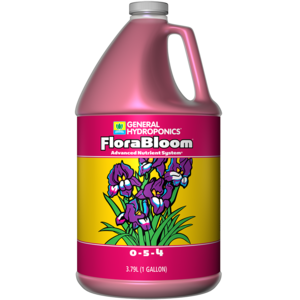 It’s also ideal for delivering needed nutrients to mother plants and new cuttings, so you can establish them with confidence. 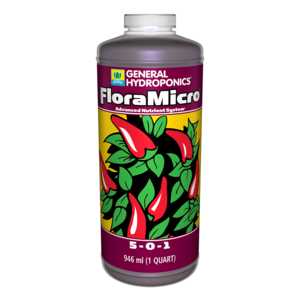 FloraMicro provides essential micro nutrients. 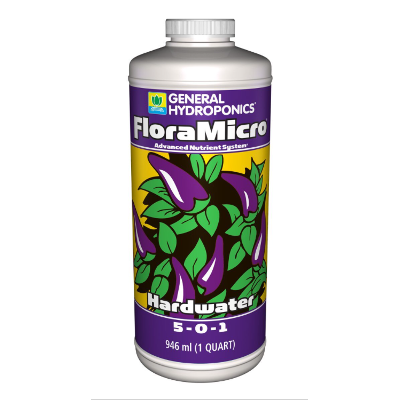 For hard water with a ppm value above 250 we recommend FloraMicro Hardwater. 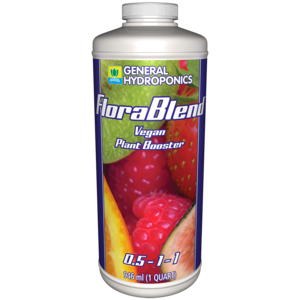 FloraBlend can be used on all vegetable, fruit and flowering plants, from just after germination into the early stages of flowering and fruiting — and in several growing setups, including hydroponics, coco, soil and soilless. SubCulture-M is a Mycorrhizal Root Inoculant and contains a wide diversity of endo and ecto Mycorrhizal fungi that colonize plant roots. 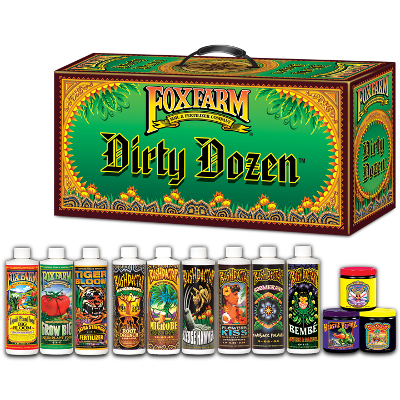 These beneficial fungi form a fine network of fibrous strands that serve as an extension of the plants root system; increasing root area and helping plants absorb water and nutrients. 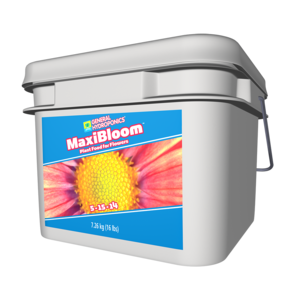 With SubCulture-M you can reduce the amount of fertilizer needed while achieving superior growth and huge yields. Use SubCulture-M from germination or propagation all the way through harvest. 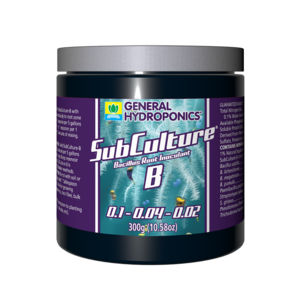 Specifically formulated for growth systems using coco, soil, hydroponic or soilless media, SubCulture-B is a bacterial root inoculant that’s packed with beneficial microorganisms. 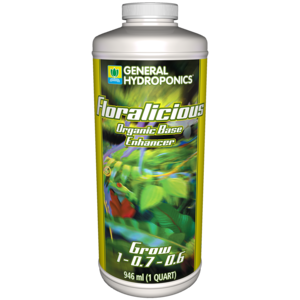 The supplement works to increase vitality and yield in all plants. 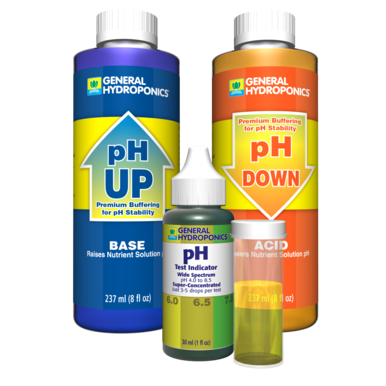 Growers can use our reference solutions for all the popular brands of meters using the NaCl scale. 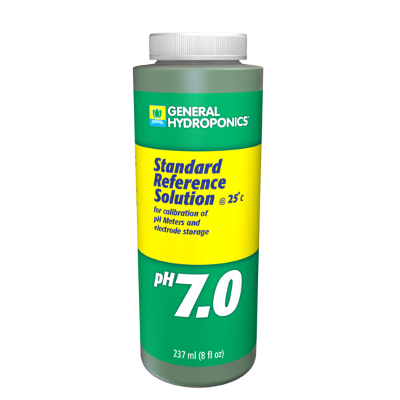 General Hydroponics technicians verify that our solutions are exactly calibrated for consistency and dependability, ensuring the highest quality available. 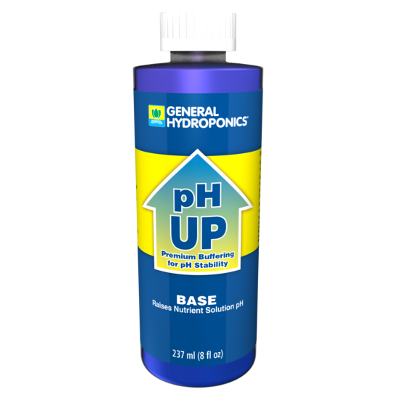 General Hydroponics pH test kits make pH testing easy. 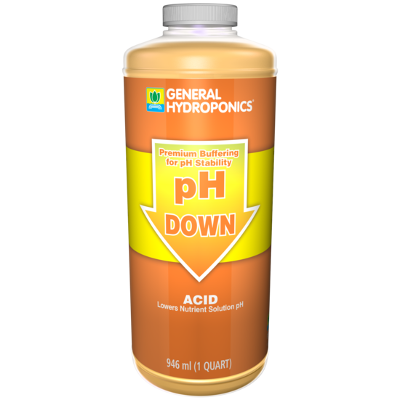 Simply fill a test tube halfway with nutrient, add a few drops of pH Test Indicator and observe the color of the liquid in the tube. 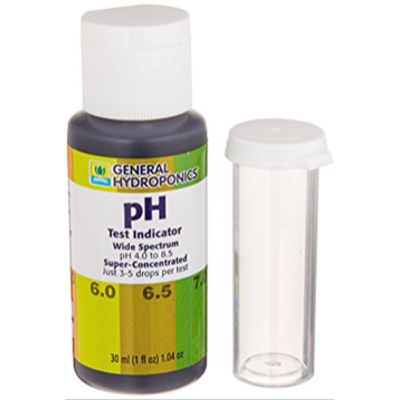 Many growers prefer our pH test kit to expensive electronic meters because of its reliability and ease of use. 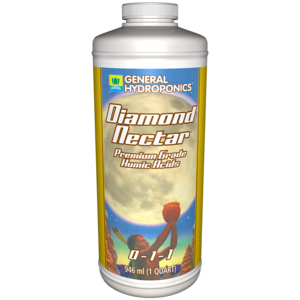 Provides essential micro nutrients. 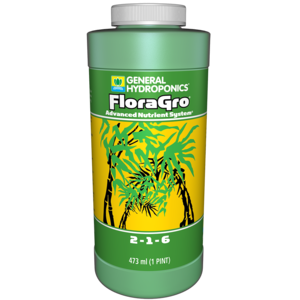 FloraMicro is used during a plant's growth and bloom cycles. 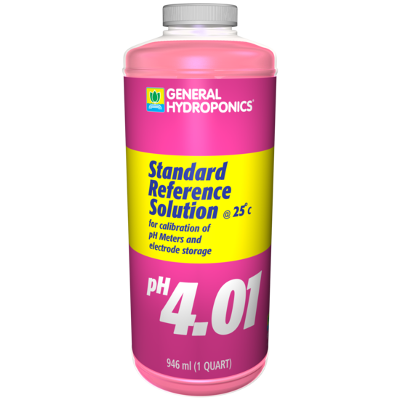 Whether plants are just showing their first true leaves or they’re in full flower, they need root support that’s reliable and nutritious. 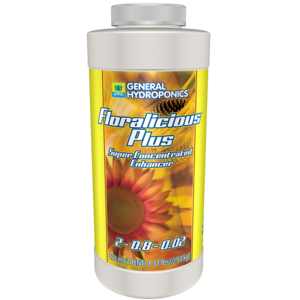 That’s where Floralicious Plus comes in. 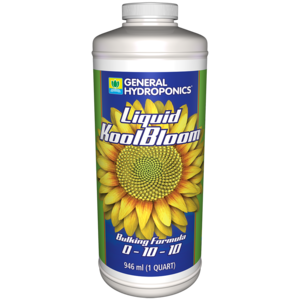 Floralicious Bloom works by combining key minerals and nutrients, which go through a unique fermentation process that maximizes the potency of the blend. 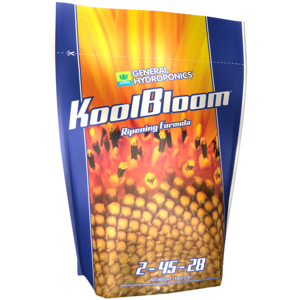 As a result, your plants get as much support as possible, with nutrition delivered from roots to blooms. Getting plants established and thriving can be a challenge for any gardener, whether you’re opting for soil, soilless mixes, coco coir or hydroponics. Providing a foundation that will feed the whole plant, from roots to stems to leaves, is a must — and Floralicious Grow makes it easy for you. Bush Doctor® Sledgehammer® is a unique rinse formula designed to remove excess fertilizer build up. 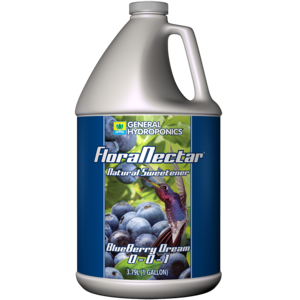 High fertilizer use can compromise plant growth over time due to concentrated mineral salt deposits.